An exceptional light quality perfect for illuminating tall buildings and structures. 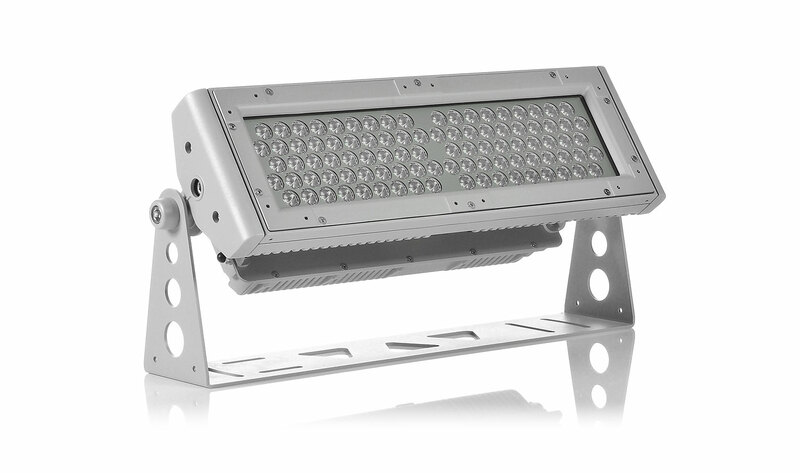 The ArcPad™ 94 Integral is an outdoor LED fixture designed to withstand the toughest weather conditions with its robust construction. Utilising densely packed RGBW LEDs, the fixture produces high intensity light output with low power consumption. Featuring an integral power supply, the installation process is simplified, therefore reducing the cost of the project. Huge output, wide choice of LED array and optics. Integral and remote driver options. Long throw.